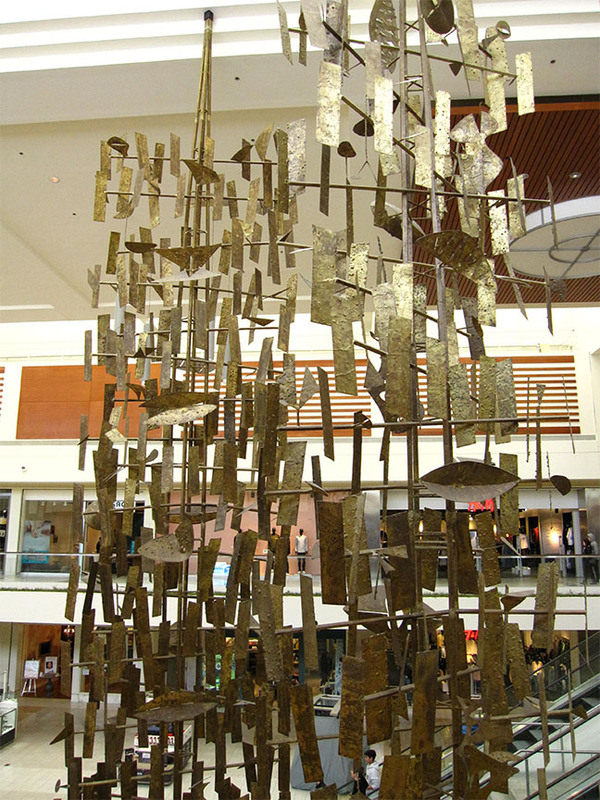 Southdale Mall (now Southdale Center), the first fully-enclosed shopping mall in the US, designed by Victor Gruen, is fortunate to have a mid-century modern gem in its midst: two Harry Bertoia sculptures. 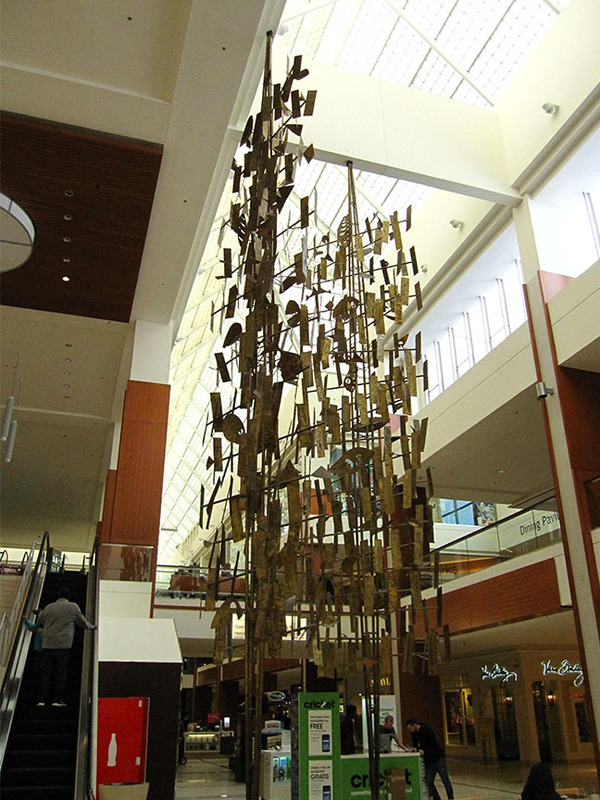 The pair, named Golden Trees, stand 50 feet tall and are made from steel and coated with welding bronze. 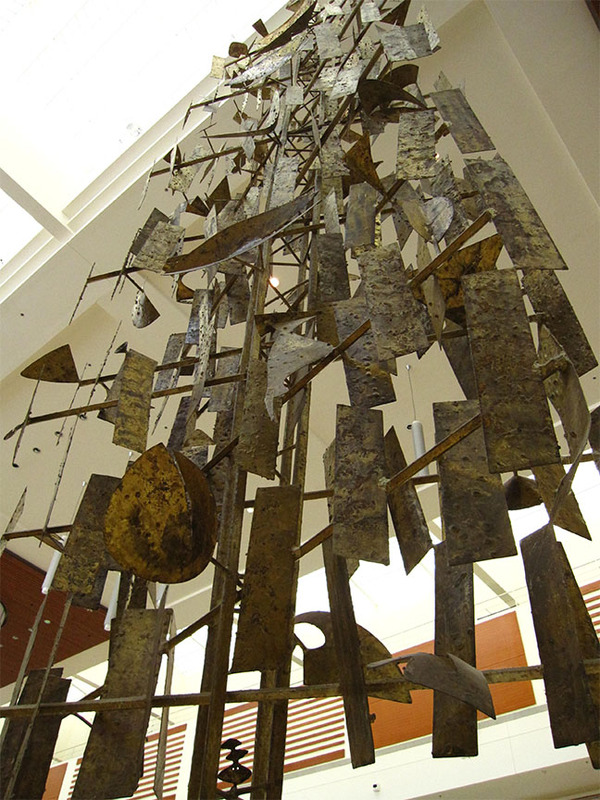 These sculptures are endlessly fascinating. 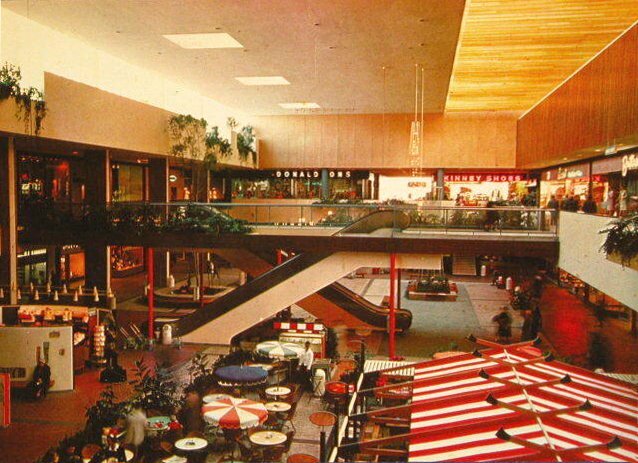 A fixture at Southdale since it opened in 1956, they remain rooted in the original place in the mall, which originally was in the center court right outside Dayton's Department Store. 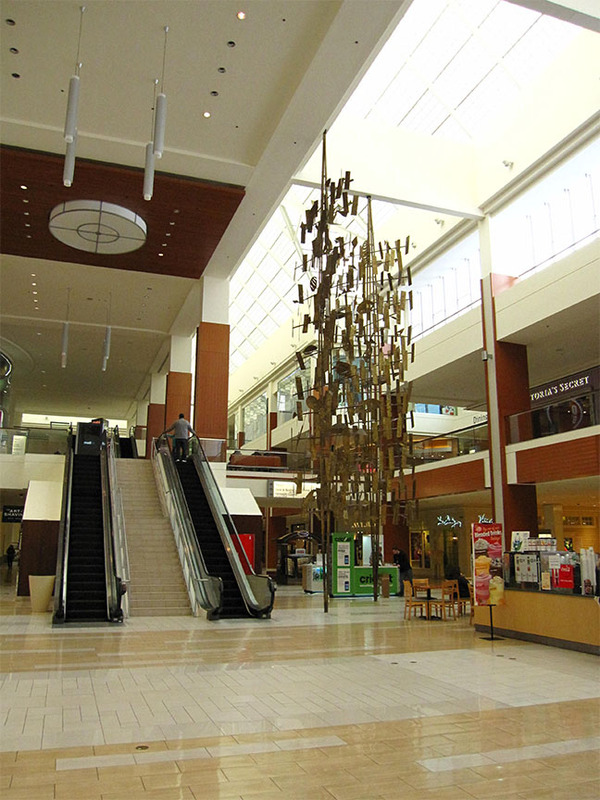 Southdale has been expanded and renovated many times (as you can read here) and survived several cosmetic alterations. 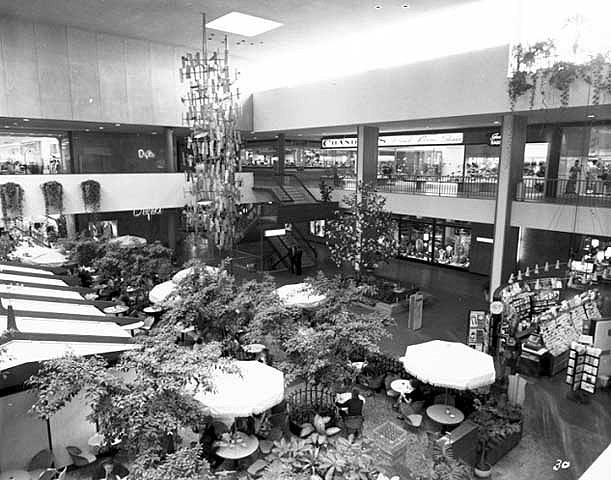 As you'll see in the vintage photos of Southdale (courtesy the Edina Historical Society) very few of the original features of the mall survived (the bird cage, the pond, the sidewalk cafe, seating and community gathering spaces, the amazing light fixtures). 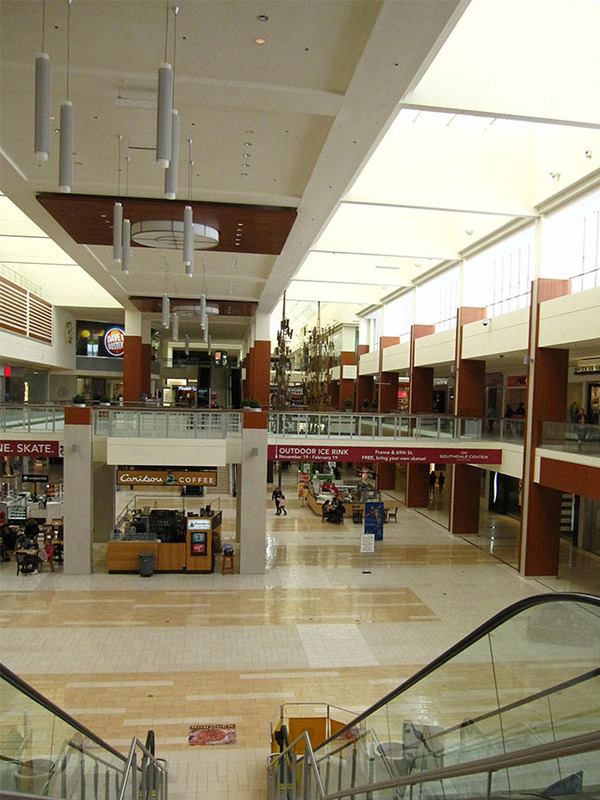 The addition of high-level windows bring in more light; the downside is a stark, cold atmosphere. The interior warmth has been completely stripped away. 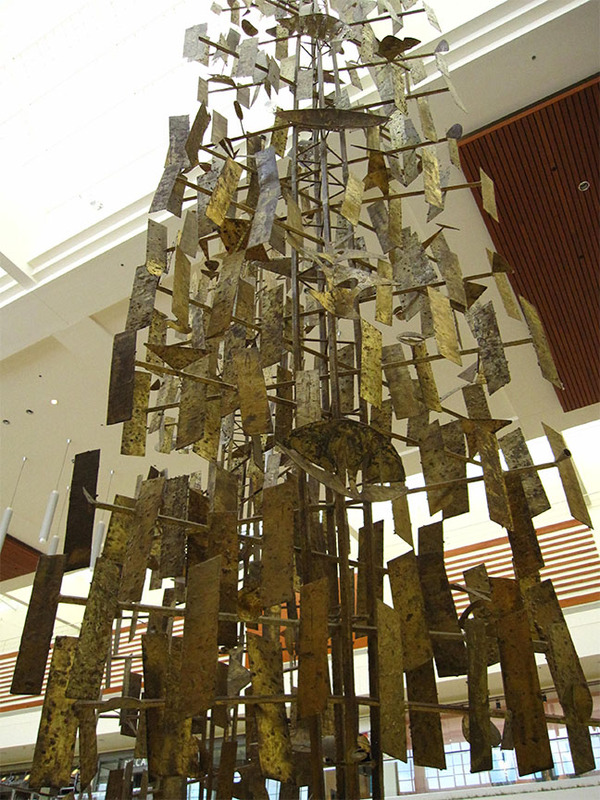 Very little is left of Victor Gruen's artistic vision. What remains is mostly a shell. 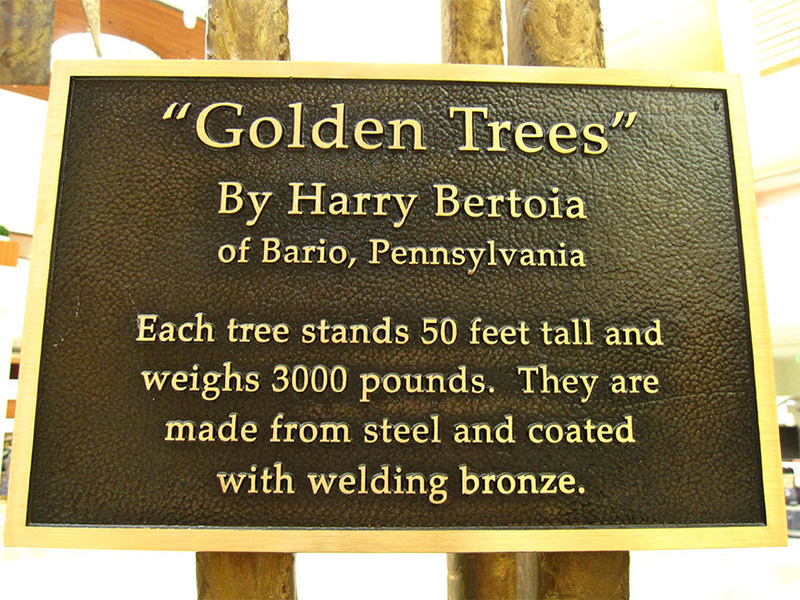 Fortunately we still have Golden Trees. How many people walk by these amazing sculptures daily and never stop to pause and reflect on or even learn about their history. 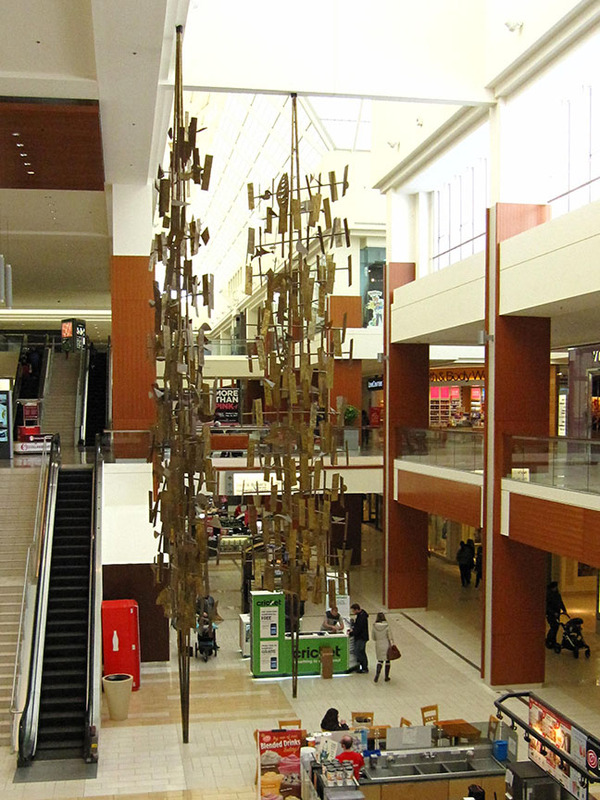 Two books can provide a window to the past, both on Southdale and Harry Bertoia.